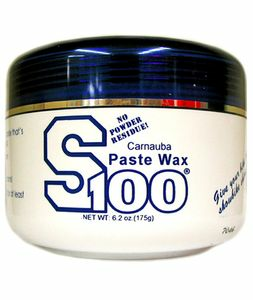 The S100 Carnauba Paste Wax will give your motorcycle the incredible gloss and shine you've been searching for. The S100 Carnauba Paste Wax is free of abrasives and is ideal for modern clear coats. Made with a unique blend of pure Brazilian no. 1 yellow carnauba (the world’s hardest wax) and beeswax, you will be amazed at the depth of shine and darkening of dark colored surfaces. The result is a wax that applies as easily as a liquid and comes off with incredible ease. There's virtually no chalky, powder residues and it won't stain rubber, plastic or even vinyl trim moldings. 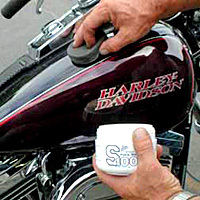 The S100 Carnauba Paste Wax can give your bike the ultimate showroom shine that will last and last! Contains 6.2 oz.